A baby died 10 days after being injected with the MMR vaccine because doctors failed to warn his parents about possible complications, an inquest heard yesterday. Eighteen-month-old George Fisher had suffered a febrile convulsion - a condition characterised by high fever, fits and inflamed limbs - before receiving the jab. But his parents claim doctors failed to warn them about the potential complications he faced when he received the injection. They say doctors did not ask them about George's medical history or warn them that he should be monitored after having the vaccination. 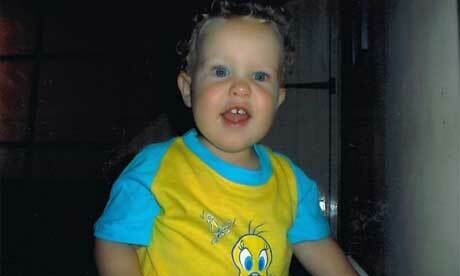 Yesterday his mother Sarah Fisher described the moment she found George dead in his cot. The 42-year-old hotel receptionist told an inquest : 'At 8am my daughter Megan, who was sharing a room with George, was calling me. 'When I went to go to the bathroom, I went over to George and was surprised that he was not awake. If Meg was awake, he was awake, always. The inquest heard how George suffered a febrile convulsion after falling ill with a high temperature on a family day out in September 2005. He was taken to hospital but released the same day after doctors concluded he was a 'healthy and robust' child. On January 9, 2006, George was given the MMR vaccine at Overton Park Surgery. His parents claim that doctors did not tell them of the possible risks of high temperature or ask about his medical history when was vaccinated. Ten days after the jab George fell ill, suffering a loss of appetite and diarrhoea. Yesterday his father Christopher Fisher, 43, told the inquest it was the third time they had taken George - the youngest of four children - to have his MMR jab as he had been too ill on previous occasions. The 43-year-old said: 'He was the best he had been for some time and we had no concerns about him having the vaccination. 'But I don't recall getting any specific advice on his condition or any general advice. It just didn't happen. He added: 'My wife and I now know that the leaflet that goes with the MMR vaccine, which was not shared with us, says that children who have had febrile convulsion should be closely monitored. 'Given that he had the febrile convulsion in the GP's surgery they should have been aware of his medical history. Nurse Heather Mitchell, who administered George with the MMR vaccine, said George showed no sign of illness when he came for his jab. She said: 'The MMR vaccination was given 17 months ago so I am unable to remember the exact case but we do have a set routine on this cases. There is now specific advice relating to febrile convulsion other than to monitor the child and check their temperature, she added. She added: 'I always suggest to the parents that they should trust their instincts and call the surgery for advice. Dr Alan Day, consultant paediatrician at Cheltenham General Hospital , said medical staff were correct in administering George with the MMR vaccination despite his illness. 'It's a short dramatic illness but I would suggest that the jab should still be given to the child. My son also suffered a febrile convulsion 10 days after the MMR jab. Although there was a history of childhood convulsions on my husband's side of the family, my son had never had one before. It was never mentioned to us that convulsions were a potential side-effect of the jab. I agonised over whether to give it to my son and knowing of that potential risk, and the history, may have made the difference. 6 years on my son is now on anti-convulsant medication and I will never know whether the first fit caused the later epilepsy. I feel so desperately sorry for the Fisher family and totally agree that parents must be told of all risks, however slight, so that they are in a position to make an informed decision before they inoculate their child. If even just one child dies we should call a halt, but there are 30 others reported deaths after MMR. There should be and end to the 3-in-1 jab, go back to singles until we are sure, with safe distance between. More listening to the parents who have had these awful experiences, treat them with respect. Lets not allow reputations to come before childrens lives. Those in charge of immunisations have much to answer for - but will they ever be called to account? The MMR vaccine played no part in the death of a baby 10 days after getting the jab, a coroner ruled today. 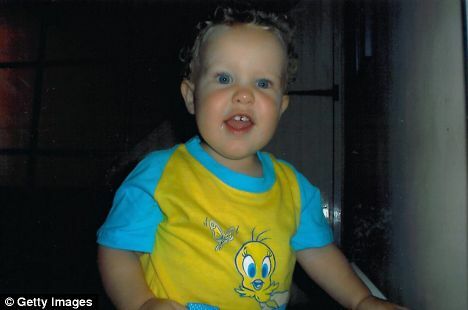 George Fisher, aged 18 months, was discovered dead in his cot in Cheltenham, Gloucestershire, by his mother, Sarah Fisher, hours after he was heard "chatting away on the baby monitor". Fisher, 42, and her husband Christopher, 43, believe the vaccine is "implicated" in their son's death in January 2006. They said no one had explained to them the temperature-raising effect of the jab on children who had previously suffered a fit, as George had. But the Gloucestershire coroner Alan Crickmore decided that George's symptoms had emerged too soon after receiving the MMR (measles, mumps and rubella) jab to be related to it. Although George had a 2% chance of suffering a convulsion after the jab, those were not known to be fatal and there was no evidence he had even had a second fit. The coroner recorded a verdict of natural causes, ruling that George had died from a rare condition known as Sudden Unexpected Death in Childhood, due to an unascertained disease. The verdict came after doctors, paediatricians and consultants told the hearing at Gloucester shire hall there was no evidence of a link between George's death and the jab. Department of Health guidelines say the jab should be given "with caution" but does not ban child sufferers of febrile convulsions - fever fits - from taking it and recommends monitoring temperatures. After the hearing the family's lawyer, Judith Leach, said George's parents were "extremely disappointed" with the verdict and would always believe MMR was to blame as no other cause had been found. She read a statement saying: "The family are extremely disappointed in the verdict. "In the absence of any medical evidence to explain why their healthy little boy died and given the timing of the MMR vaccination in relation to George's death, his parents firmly believe there is a link between the two events and that the MMR vaccine had a role to play in George's death." Sarah Fisher, standing outside court with her husband, said: "I think it's so wrong to put the death of a healthy little boy down to natural causes. There's nothing natural about an 18-month-old boy dying of nothing, because that's what it was - nothing. "This has devastated our family all over again. Three years of work and reports and it's just natural causes? I'll never, ever understand that word." Ten years ago research led by Dr Andrew Wakefield, who is under investigation by the General Medical Council, sparked fears that the combined MMR vaccine was linked to autism. Major studies in Britain, Finland and Japan have since disproved the connection but popular anxiety persists. Last week it emerged that cases of measles had topped 1,000 for the first time in more than a decade, which public health experts blamed on the "relatively low" uptake of the MMR vaccine.